The Township Manager, Susan Jacobucci, is seeking a few good men and women willing to serve on a Community Budget Advisory Committee for the CY2014 Township Budget. 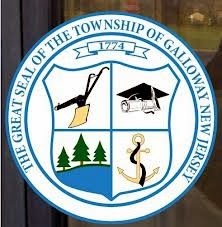 We are looking for representation from all demographics of Galloway Township. We are looking for solutions to budget challenges that face municipalities in these trying economic times. Please fill out the form below to indicate your interest in this Committee. [The form must be completed in order to participate on the Committee]. Return the form either in person to the Manager’s Office, 300 E. Jimmie Leeds Road, Galloway OR email the below information (scan or type) to Cheryl Prakash at cprakash@gtnj.org. Questions - call (609) 652-3700 ext. 260. The first meeting is tentatively scheduled for Friday, March 14, 2014 at noon in the Council Chambers / Courtroom.